Thèid Mòd Ionadail​ Inbhir Nis 2019 a chumail Dihaoine 21mh & Disathairne 22mh den t-Ògmhios. 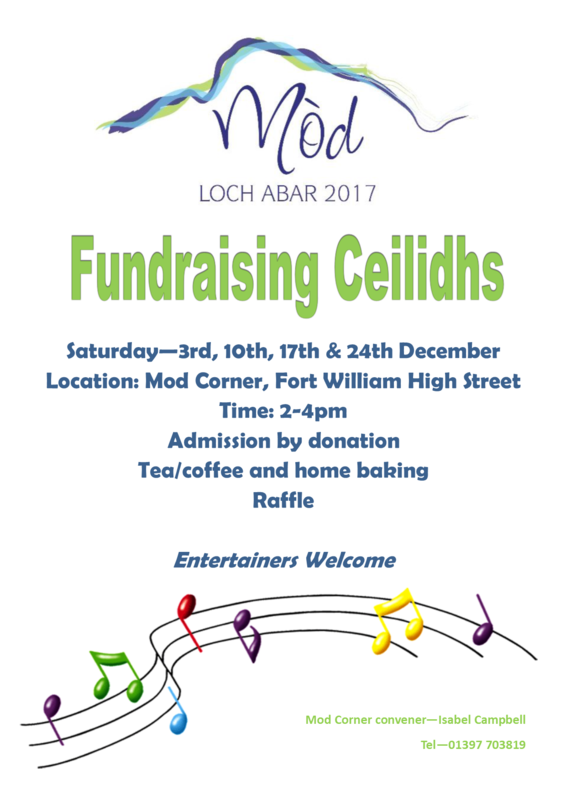 ​Meur Inbhir Nis, along with the newly established Mòd Inbhir Nis 2020 Local Organising Committee, will have a fundraising tombola stall at the Black Isle Show in Muir of Ord on Wednesday 2nd and Thursday 3rd August. If you have any bottles you could donate (juice, alcohol, shampoo, shower gel etc) these will be gratefully received. Please contact the Inverness Provincial Mòd secretary or message the Inverness Provincial Mòd Facebook page to arrange drop off of donations. 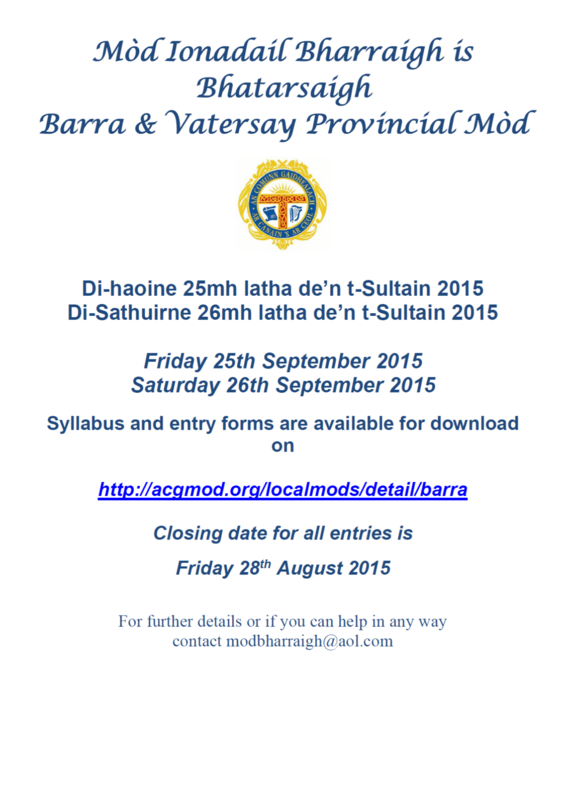 Please note that Comunn Gàidhealach Leòdhais have changed the dates for this year’s Lewis Provincial Mod. The Mod will now take place between Tuesday 30 May – Friday 2 June. 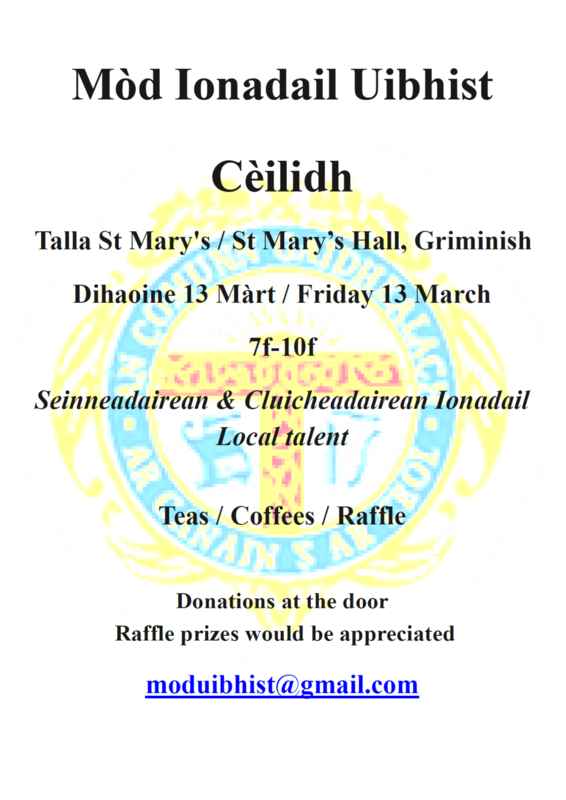 Comunn Gàidhealach Leòdhais would be grateful if you could distribute the amended dates to all Gaelic / Music teachers, parents etc. Forms and music pieces for this year’s Mod will be circulated in the coming weeks. Please note, in the printed syllabus there were errors with the prescribed pieces listed for competitions C53, C54, C55 and C56 (Boys 9 and under 11 Fluent & Learners and Girls 11 and under 13 Fluent & Learners). Please double check that entrants are learning the correct piece as printed in the An Comunn Prescribed booklets. An updated copy of the syllabus is included below. The Edinburgh Provincial Mod will take place on the 25th May 2019 at Bunsgoil Taobh na Pàirce, Bonnington, Edinburgh. Visit their website or their Facebook page for up to date information. Best wishes to everyone taking part with this year’s Provincial Mod! Many of you will have already begun preparations for your 2014 Provincial Mods. If you have any fundraising events, an AGM or any committee meetings coming up, feel free to get in touch with details and we will display the information on here and in our newsletter and Facebook page. Please note that the usual competitions will not take place at this year’s SW Ross Provincial Mod. Only piping competitions will take place this year. 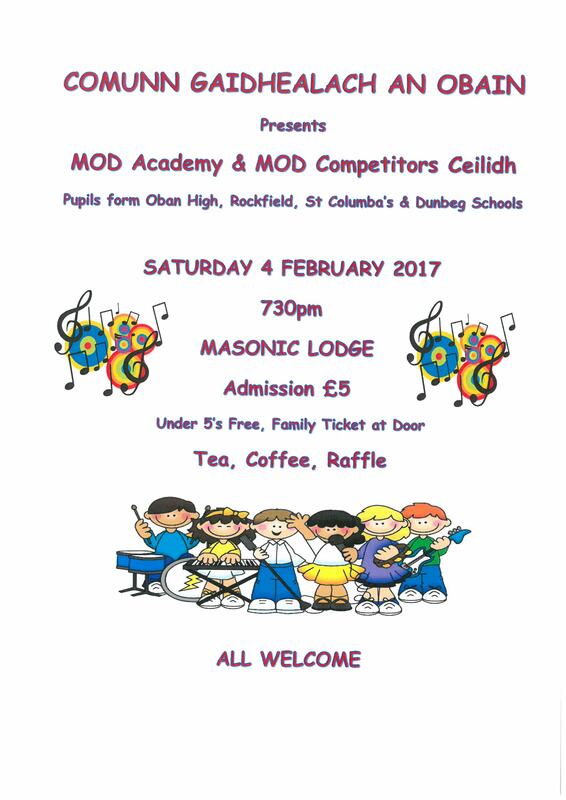 This year’s Provincial Mod has unfortunately been cancelled due to extensive building works at Plockton High School.